You won’t want to miss these 10 things to do in Minneapolis, which came in at Number 1 on my list of “Absolute Best Cities to Live in the USA 2015.” You can wine and dine, walk, look at great art, smell the roses, and more! Most people consider The Minneapolis Institute of Art this museum the #1 arts-related place to visit here. Admission is free every day, but you may need to pay for special exhibits. It’s approximately one mile from downtown and has more than 89,000 artworks from about 20,000 years. Performances at Guthrie Theater range from things like Chick Corea playing jazz, and a performance of the musical South Pacific, to the play Sense and Sensibility based on Jane Austen’s novel by the same name. Located on 11 acres in the city, the museum offers more than 40 sculptures from the Walker Art Center’s collection, including the famous Spoonbridge and Cherry. Gardeners especially will also enjoy the Cowles Conservatory and the Alene Grossman Memorial Arbor and Flower Garden. The Center offers a wide range of contemporary art and design exhibitions, plus events. The Brave New Workshop Comedy Theatre has been in business since 1958 and consistently gets high ratings. Count on seeing original comedy, improv, and satire. There are over 1,300 restaurants in the city, which means you can definitely find something you’ll love! Top-ranked ones include The Capital Grille (think steak tartare, French onion soup, and porcini rubbed bone-in ribeye); 112 Eatery (imagine duck and radicchio salad, and nori-encrusted sirloin with ponzu); and Pizzeria Lola, which is dog-friendly and offers exotic twists like the Korean BBQ pizza and The Xerxes made with spinach, feta cheese, mozzarella, almonds, and Kalamata olives. The Minneapolis Skyway is an enormous maze joining together buildings in the city, so in cold weather you can walk around and not face the chill. As of January 2016 it was 8 miles long, but it’s growing. The Skyways are generally open from 6:30 a.m. to 10 p.m. during the week; from 9:30 a.m. to 8 p.m. on Saturday, and from noon to 6 p.m. on Sunday. You can watch The Twins play at Target Field and get a great view of the city’s skyline at the same time. There’s 3D online booking, so you can literally see your seat before you buy it. 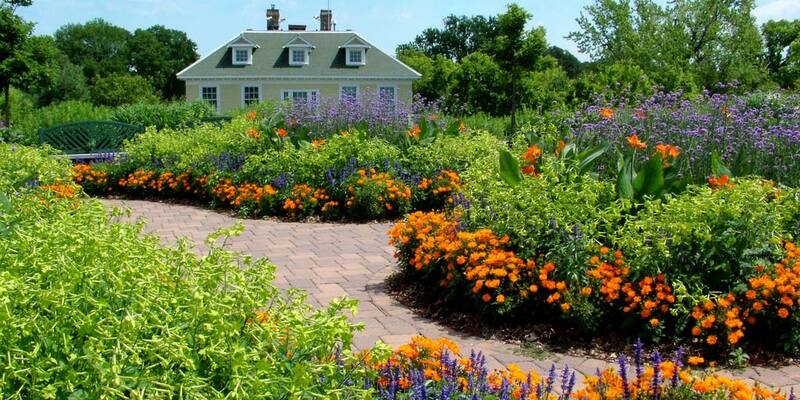 Enjoy the blooms at the Longfellow Gardens in Minnehaha Park, and take a look at the Longfellow House, which is a replica of the original poet’s manor in Cambridge, Massachusetts.If you rent a bike, there are meandering bike paths throughout. Located along the shores of Lake Harriet, this park hosts concerts and outdoor movies in the evening when they weather is nice. There are many craft microbreweries and taprooms in the city, including Sisyphus Brewing Dangerous Man Brewing Company, Harriet Brewing Co, and Boom Island Brewing Company, to name just four. What are your favorite things to do in Minneapolis? Please leave a comment. Travis Neighbor Ward is an award-winning editor in chief, magazine and web writer, and a best-selling author of fiction and nonfiction. She has written extensively about interiors, lifestyle, travel, gardening, and health. To learn about blogging, publishing, and marketing for lifestyle and interiors go to her site The Decorated Way, www.decoratedway.com.